Are there strange sounds coming from your garage door motor or you can notice minor cuts in the cables? For fast and safesolutions to these and all other issues, contact our company. 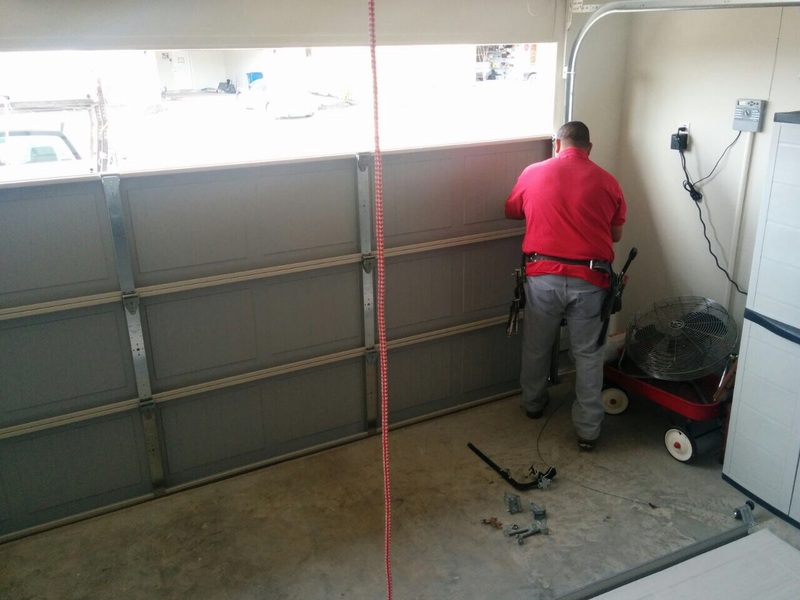 We have many years of experience in providing garage door repair services. Count on us in case of emergency such as a broken spring as well as for dealing with ongoing problems such as moisture and decay. Our technicians are experts in all types of doors and openers including the latest ones. Given that there are over three hundred components in any electric overhead door system, issues are not uncommon at all. At the same time, they harm both safety and security in addition to causing operation difficulties. If you have a door that refuses to stay closed or cannot go all the way down, you should turn to us for help without hesitation. If it is due to too much tension in the spring, you can expect perfectly accurate garage door adjustment. Is the door stuck or misaligned? Count on us to replace the broken track for you!The same is true for broken springs and cable replacement as well. Only the best spare parts are used. We have everything necessary at hand at all times. The seriousness of opener problems should never be underestimated either. When you hear grinding sounds or the motor quits working all of a sudden, you must stop using the device and get in touch with us at "Garage Door Repair Sacramento" straight away. The malfunctioning system component will be quickly identified and then fixed or replaced accordingly. We are equally good at fixing garage door trolleys and rails and advanced circuit boards. When there is a need for a new remote control, the service includes programming as well as delivery. Often, rust and corrosion are due to the use of driveway floor cleaning products with damaging ingredients. Rely on us to replace the bottom seal and to take other measures for future protection of the rest of the parts. Take a look at our regularly updated special deals.